On the same snowy Saturday came across this scene near St James Park. 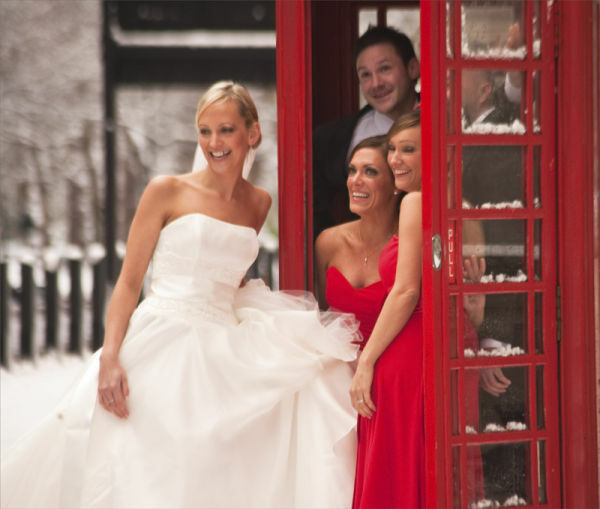 Bride and bridesmaids clambering into a telephone box from an era past. Very photogenic and a good candid moment.